Kevin Barry’s City of Bohane was highly anticipated in the wake of his debut short story collection. Sure enough, the novel was well-received: the blurbs on the cover are not empty platitudes, and it recently won the International IMPAC Dublin Literary Award. Bohane is a west Irish city about forty years in the future – but socially regressed. It is an Irish gangland, a world where districts—Smoketown, the Northside Rises, Back Trace, Beauvista – are run by Logan Hartnett (also known as the ‘Bino, Big H, and H). It is a land of trams but not cars, of footpaths but not highways, of ‘hoors, herb, fetish parlours, grog pits, needle alleys, dream salons and Chinese restaurants.’ People play records, listen to the radio, are reefed with shkelps rather than guns, and have only the dimmest sense of a world beyond the Big Nothin’ bogs and bordering sea. The river itself, winding black and evil through the city, is a point of reference for a shifting point of view—nearly omniscient, the narration, and unafraid to cycle through characters and cinematic perspectives. It is this narration that makes Bohane a standout work. From the beginning it is striking: a dialect and opinion so distinct it feels first person. And, indeed, though it takes time for the hints to creep in, it becomes more clearly first person as the novel progresses, with the first ‘I’ appearing over seventy pages in. The puzzle of the nostalgic God-like narration alone kept me curious, and it takes a long time for its justification to unfold. Barry loves his Bohane world. It is violent and ugly, but everything down to the dress of the characters has a certain retro nostalgia to it. Expensive Portuguese shoes are worn by the same men who kill and swear. Jenni Ching, something of a second-in-command, wears vinyl jumpsuits and heels high enough to make the hoors stare—while riding a horse. Language is part of the world, from the names—‘The Gant’ to ‘Sweet Baba Jay (SBJ)’—to the ‘Arab wynds’ of the Trace to the river that sources the ‘true-dark taint’ in everyone’s eyes. It shifts from the desolate landscape of Irish bogland to the thick tangle of dialect: page five, and Jenni Ching warns that there’s ‘three flatblocks fulla headjobs with a grá on ‘em for rowin’, y’check me?’ It can take a couple pages to catch on to the cadence that dominates sentences and subjects grammar to archaic inversions and creations, but once in the music it is impossible not to be entranced. Bohane could not be told by anyone else, and Barry knows that lesson of many Irish authors: how a place is told can matter as much as its events. It’s no Joyce rip-off, but the spirit of warping English to fit the world is there. What you don’t read Bohane for is the plot. It is, in the end, a power struggle over a city abandoned by civilisation and one step away from anarchy. Romance complicates matters, but while the characters look and speak in delightfully original ways, their roles have been seen before. Logan has held power for too long, and it doesn’t take a very close read to recognise the candidates for succession. Barry’s characters do not really surprise once they are established—they’re more like wind-up toys let loose in the arena to bounce off each other, and once the mechanics are understood, it’s not too hard to predict the outcome. Personally, I found the world and language enthralling enough to enjoy the extended fallout that is Bohane, but some reviewers have criticised that lack of character transformation. I thoroughly recommend Bohane. You will never again find a voice quite like the narrator’s, and you will never again experience a city as bad-tainted and thrumming as Bohane itself. At least give it a go—the first twenty pages alone will stun you, reminding you that there is much more to a good story than plot. 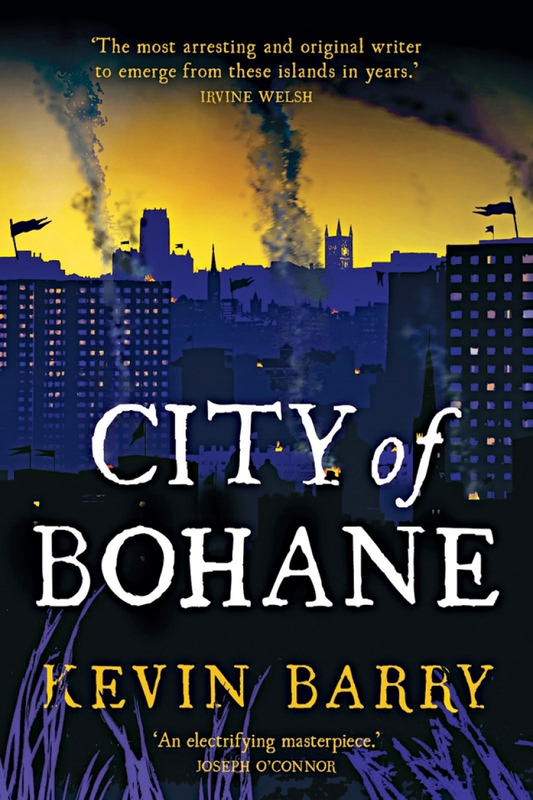 You might find yourself unimpressed with the ending but at heart, Bohane is about the city itself, a malevolent place a bit too vivid for comfort. It takes a daring author to make an unreal place so compelling.